Every year, chiropractic medicine helps countless people who are struggling with pain and back issues. One of the ailments that chiropractors commonly treat is scoliosis. Though this condition, which is often present at birth, is not considered curable, the symptoms can be alleviated with chiropractic treatments by a doctor at NH Chiros (Dr. Ken George & Assoc's, PA) in Stratham, NH. Scoliosis is a condition of the back and spine that affects up to 3 percent of the American population. It’s often diagnosed in childhood (congenital) but sometimes the symptoms don’t develop until adulthood (degenerative scoliosis). The spine is curved in an unnatural C or S formation that causes the patient to have poor posture and often causes intense pain. Because the spine is out of alignment, there is stress on other parts of the body like the neck, hips, and legs. It sometimes causes the body to shift to the left or right side when walking or standing. Scoliosis is a painful and often embarrassing condition for patients to deal with. Many patients live with this musculoskeletal disease for many years. Children are often first diagnosed in their elementary school years, which is particularly difficult for their physical and social growth and development. But it is possible for a patient with scoliosis to live a productive and happy life with regular treatments by a chiropractor. Every case of scoliosis is different and requires customized treatment. 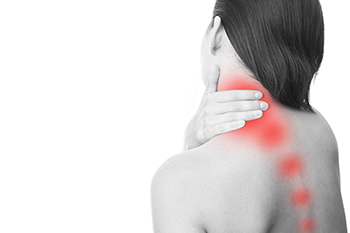 Contact NH Chiros (Dr. Ken George & Assoc's, PA) in Stratham, NH, to find out how a chiropractor can help with the symptoms related to this spinal condition. Call 603-772-6400 to make an appointment with Dr. Ken George or his associate, Dr. Nicholas Rost. If you have more questions about scoliosis, call Dr. Ken George & Associates, P.A. in Stratham, NH at 603-772-6400. We encourage all our patients to contact us whenever you or your family has muscle, bone, joint or connective tissue problem. We look forward to helping you stay healthy! Also serving the Exeter, NH and Portsmouth, NH area!